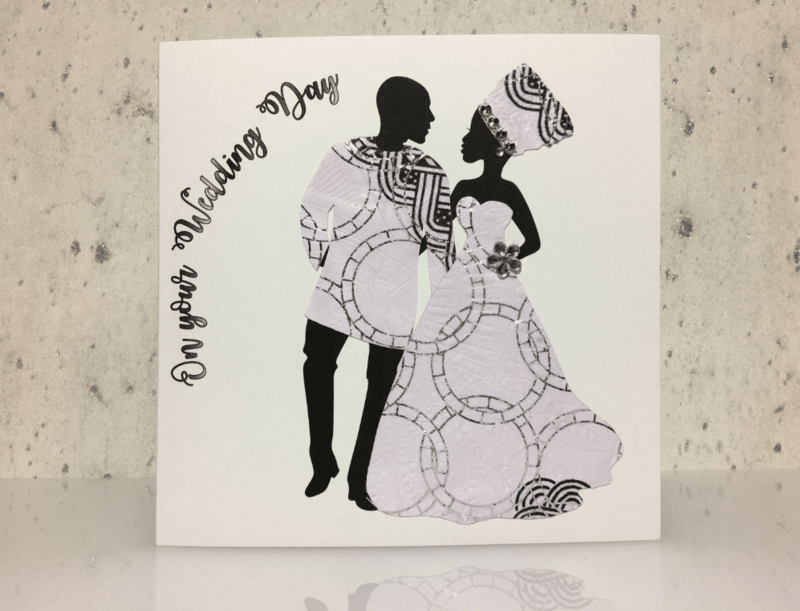 Whether you’re jetting away to a destination ceremony or one in your own hometown – we all know that finding Black greeting cards in-store is the ultimate struggle. The same goes for anniversaries! 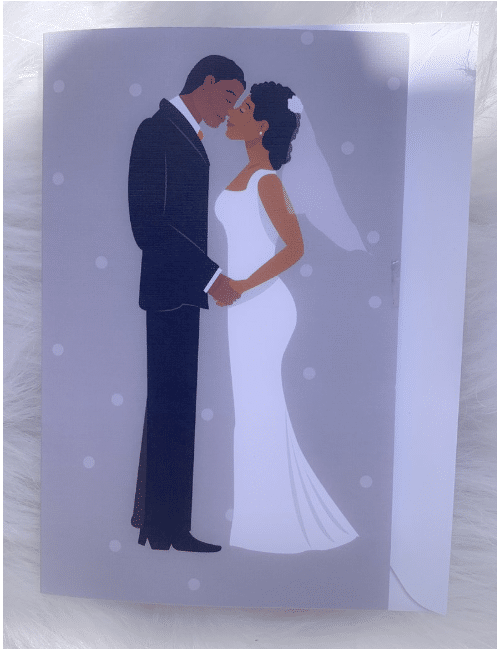 If you don’t want to get stuck picking from the same heap of generic store-bought greeting cards, plan ahead and make Black love matter with these 7 selections. Whether you’re celebrating an engagement, wedding or anniversary, send a message that captures the heart that’s for us, by us! The lovebirds in your life will never stop thanking you for honoring them with this soulful and thoughtful card. Love wins, and so does this card! 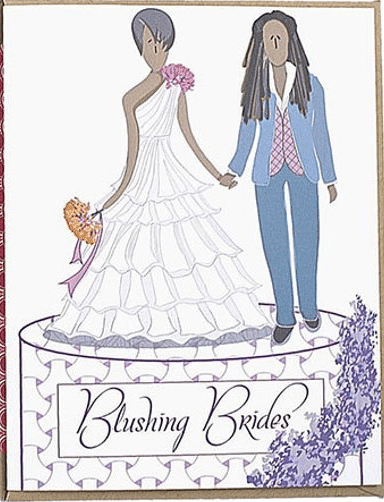 Etsy offers a variety of cards perfect for lesbian couples on their engagement party/wedding day! 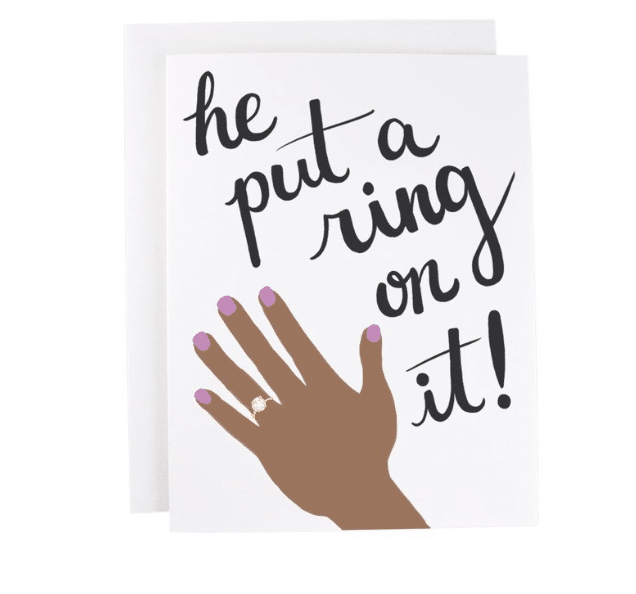 Celebrate your sister, homegirl or friend on getting engaged with this Beyoncé-inspired engagement card. Celebrate another 365 days of love with your honey! You can either send the standard message's or Hallmark can add your personalized message inside. Black Love is almighty and powerful. So its only right to choose a card that reflects that. 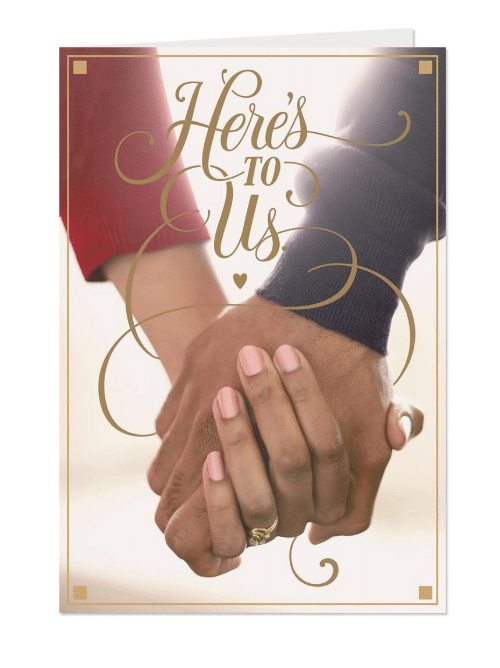 Surprise your spouse or significant other with this gold and bold love note that's sure to brighten their day. 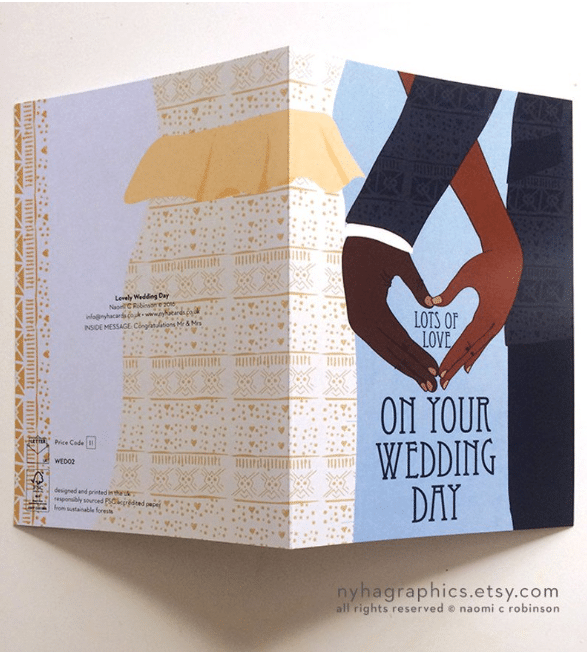 This elegant 5x7 folded linen greeting card is perfect for the newlyweds in your life and bound to make them smile. 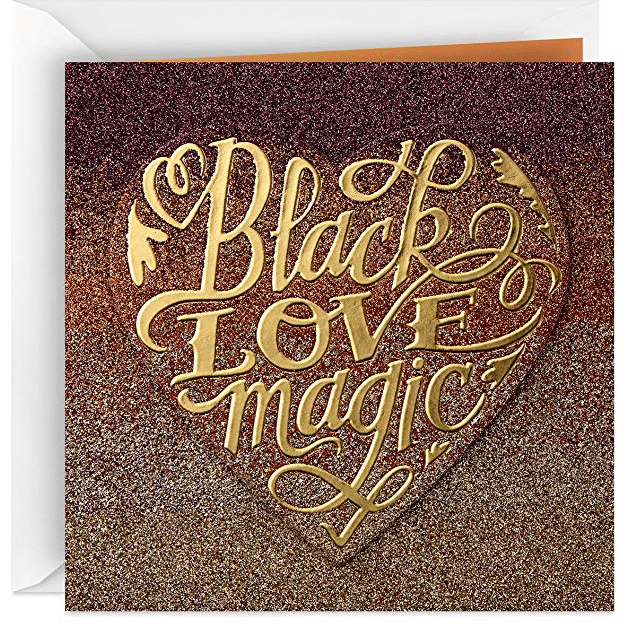 This stunningly beautiful card is black love personified. The black and white detail that's unforgettable.